Everything you love about NEBS, now under a new name. 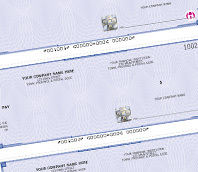 Protect yourself from fraud for just pennies more per cheque. Deluxe offers the most innovative High Security Cheques on the market. Deluxe Payroll lets you access your payroll anywhere, anytime, from any device. 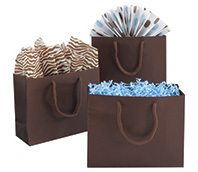 Stock up on distinctive bags, bows tissue, ribbon and more! Deluxe Payroll - Eliminate your payroll pain! Request a free confidential payroll quote today. Choose from hundreds of forms. Use your logo, colours & typestyles to reinforce your brand. Keeping criminals from accessing your bank account is what we do best. This is why our High Security computer cheques, manual cheques, and security pens are the most innovative products within the market. As more businesses experience payment fraud, it's crucial that you keep your business protected. Our high-quality cheques and banking products like High Security cheques help keep your business secure and ahead of fraudsters. You run your business; we'll help keep it safe. Our custom business forms can help you maintain and keep track of jobs, payments and other business details on a daily basis. 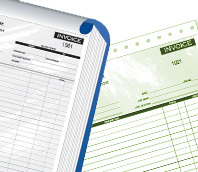 We can customize all of our forms for your individual and specific business needs. You can add your logo, a graphic image, your business colours, your own terms and conditions, perforations or typestyle. Custom forms are great for saving time and strengthening your business image! We understand how important it is to strengthen your brand and attract new customers, which is why we carry a range of promotional products and apparel. Our promotional business products are effective and affordable, and very easy to customize. By adding your business logo to any of our products, you leave a long-lasting impression with customers. Let us help you get the attention your business deserves.